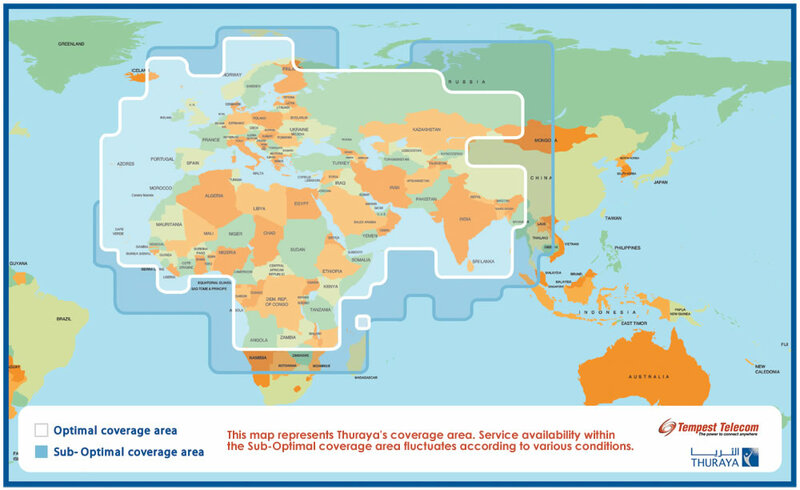 ThurayaDSL offers “always on” high-speed GPRS packet data communication via Thuraya satellite. ThurayaDSL is a cost effective solution for corporate customers, government agencies, NGOs, news-gathering agencies and individuals for their high-speed data requirements, even in areas where competitive high speed Internet access is not available. Competitive: Volume-based usage charging regardless of connection duration. Choice of subscription plans: Postpaid and Prepaid subscriptions available to meet a wide range of usage and budget control requirements. Light, compact, portable and user-friendly. 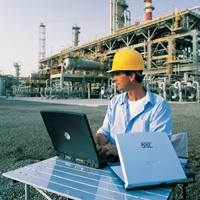 Remote Office: Can be connected to an external wireless LAN device through the Ethernet port to set up a remote office environment anywhere in Thuraya’s coverage area. Online services at Sea: Can be used with compatible Maritime antennas for affordable high-speed data service at sea. Public static IP address available. ThurayaDSL is a light, compact and user-friendly product (the size of a notebook) that offers a speed up to 144 kbps on a shared channel facilitating Internet services to Thuraya subscribers anytime and anywhere in Thuraya’s coverage area of more than 110 countries in Europe, North and Central Africa, large parts of Southern Africa, the Middle East, Central and South Asia. ThurayaDSL satellite IP modem connects to a notebook or a desktop computer via an Ethernet port. Web based user interface provides details of the operational status of the connection. Once connected, users can enjoy access to the high-speed Internet and data communications with its various applications. A ThurayaDSL SIM Card is required to access the service.